Priceless — ROBERT WITTMAN INC. 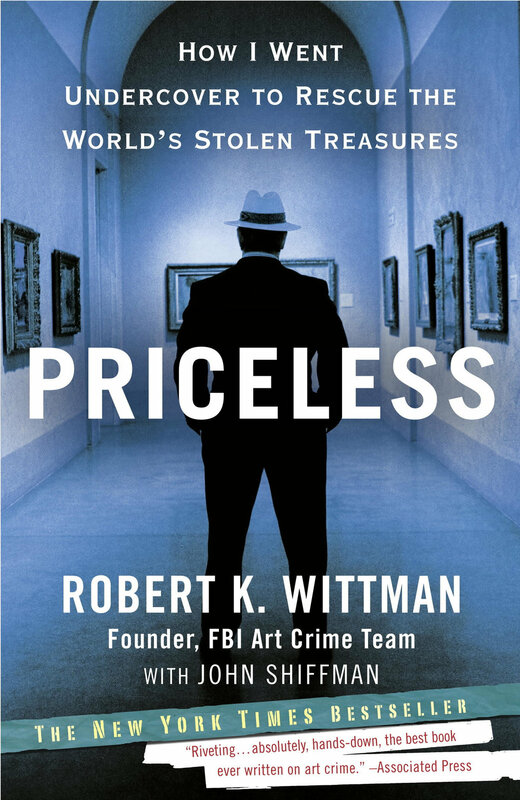 In Priceless, Robert K. Wittman, the founder of the FBI’s Art Crime Team, pulls back the curtain on his remarkable career for the first time, offering a real-life international thriller to rival The Thomas Crown Affair. Rising from humble roots as the son of an antique dealer, Wittman built a twenty-year career that was nothing short of extraordinary. He went undercover, usually unarmed, to catch art thieves, scammers, and black market traders in Paris and Philadelphia, Rio and Santa Fe, Miami and Madrid. In his final case, Wittman called on every bit of knowledge and experience in his arsenal to take on his greatest challenge: working undercover to track the vicious criminals behind what might be the most audacious art theft of all. Priceless is a New York Times and worldwide best-seller now published in 11 languages and more than a dozen countries!